Geo TV Network Geo Super, Geo Kahani and Geo TV free to air on AsiaSat 3s/ AsiaSat 7 at 105 degrees East. It is good satellite TV update that some television channels of top Pakistan Geo TV Network is currently available FTA free to air TV mode on Asia sat 3s/ Asia sat 7 at 105.5 degrees East. It is not yet confirmed that whether these TV channels of Geo TV Network that is Geo Super, Geo Kahani, and Geo TV will remain fta or these are temporarily free to air TV channels on AsiaSat. Asia Sat fleet of TV satellites is very famous in Asia which provides large quality of content in different regions and from different TV service providers. AsiaSat provides televisions channels in both C band and KU band and offers a large number of TV content ranging from music, news, movies and sports. So, currently GEO super, Geo Kahani and Geo tv are fta on asiasat 7. Besides these channels, other television channels of Geo TV network like GEO News and Geo TEZ are available free to air on Asia Sat 7. 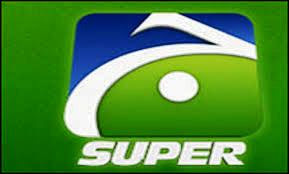 Geo Super is top Pakistani cricket channels and good news is that it will live telecast BPL 2015 cricket matches. So watch BPL 2015 cricket matches on Geo super fta. Geo Kahani and Geo TV are other Pakistani television channels offering different quality of top shows. Satellite name: Asiasat 7 (AsiaSat 3s). Update: Geo Network now shifted to MPEG-4/HD format on Asiasat 3s, Asiasat 7 at 105.5E. GEO TV, GEO KAHANI, GEO NEWS, GEO TEZ and GEO SUPER changed frequency and shifted to MPEG-4/HD format on Asiasat 3s, Asiasat 7 at 105.5E. Many friends asked me that why Geo news, Geo Super and other Geo network television channels are down in Saudi Arabia and in UAE. The reason is now clear that they were testing the new frequency and now Geo TV channels are shifted to the new frequency on Asiasat 7 with MPEG4 HD format but in free to air tv mode. So, now you can watch BPL 2015 I mean BPL 3 free to air and in HD on GEO super sports channel. Pakistani first HD TV packs on Asiasat. GEO TV FULL HD FTA. GEO KAHANI FULL HD FTA. GEO SUPER MPEG-4 free to air. If you have any problem or need any help, ask us in comments. IS ALL CHANNELS OF GEO IS DOWN IN SAUDI ARABIA THIS TIME ? Hi annu, All television channels of Geo TV network are working fine here in India, may be you have some problem with your dish alignment. Recheck your dish installation. why geo network is down in pak? May be the transmission signals are poors. I have tried the new frequency but no signal at all. While with old frequency and symbol rate it was working fine. some says that new symbol rate is 29720 and some says it is 29700. I tried both and still no signals. Yea, the transmission signal is little weak of the new GEO network c band frequency. The symbol rate 29720 and 2900 hardly matters but what matters is C band Dish size. You need a bigger C band dish antenna to receive this TP. You need at least 6 feet or bigger c band or ku band dish antenna of bigger size to get Geo TV channels. I changed the few. With the new one (29700&29720.but still there is no signal. A.o.A. Geo news Geo Tezz working but geo kahani, geo supper & geo tv not working scrambled show. what is the problem????? i m in Riyadh. i have hd receiver and 6 fit dish. bt geo news is not working. can any body help? Asiasat 3s not show geo news why?